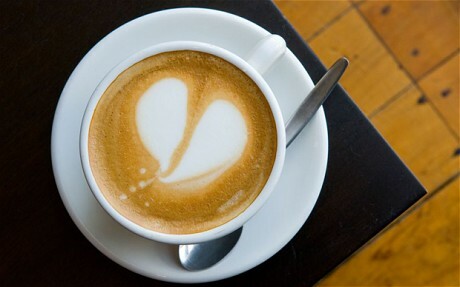 Regularly drinking coffee appears to lower the risk of depression, a study indicates. Those who drink two or three cups a day have a 15 per cent lower incidence of depression than those who rarely do so, found academics at Harvard School of Public Health in the US. Although they emphasised the study did not prove that caffieine protected against depression, they noted that there appeared to be a “dose-dependent response”. That is, those who drank the most coffee tended to suffer the least from depression. For instance, those who consumed drinks containing 550mg or more caffeine a day – equivalent to four or more cups – had a 20 per cent lower risk of depression than those who barely drunk any. Michael Lucas and colleagues looked at more than 50,000 healthy women, whose average age was 63, and followed them for a decade. They estimated their caffeine consumption in all types of drink, via questionnaire, and then looked for new cases of depression. Writing in the journal Archives of Internal Medicine, the authors noted that in the study group “cases of depression decreased in a dose-dependent manner with increasing consumption of caffeinated coffee”. However, they noted that it was an observational study – one that does not seek to prove cause and effect – and that it therefore “cannot prove that caffeine or caffeinated coffee reduces the risk of depression but only suggests the possibility of such a protective effect”.